Thoughts of one of those who are trying to focus on simplicity...beauty of the everyday moments. Outside my window...It's totally dark. It's 19.50 P.M. I am wondering...where I will be in my dreamfullfilment at this time next year and where I will be as a mom and about when my 16-year old will come home. It's getting late. (She's studying maths with her friends). I love having my kids help me in the kitchen too. My little girl loves helping me cook. 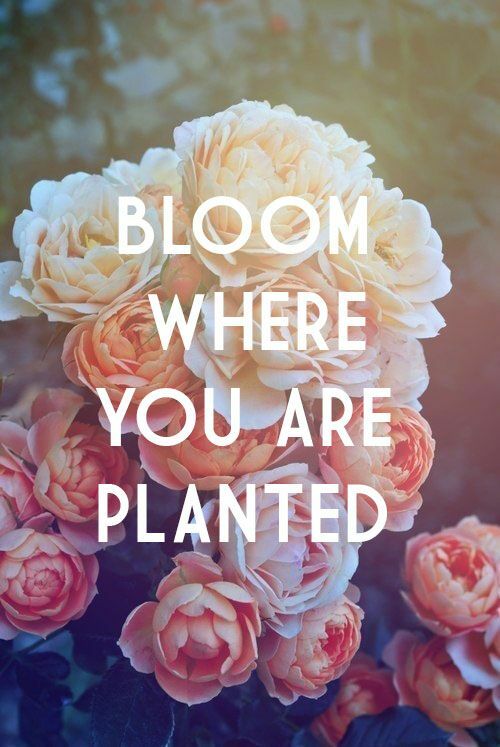 I like your "Bloom Where You Are Planted" poster. If we all would do that, it would be a happier world.